Mobile Mechanical services all Air Compressors. Mobile Mechanical Services is your one stop shop for your business needs in either the Industrial and Automotive Industries. We have factory trained and certified technicians. We also provide a fully staffed department for any engineering services you will need to get your new system installed. Besides doing equipment installations, we also repair just about any manufacturers equipment. Lastly, we believe in preventive maintenance. Preventive maintenance is what keeps your systems running smoothly and it will even help them last longer! Contact Us today to discuss any or all of our services. 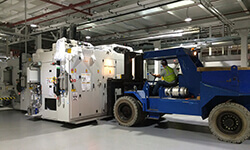 Mobile Mechanical uses factory trained and certified technicians. We service all makes and models of air compressors. We are available 24/7. We are here to make sure your compressors are running at peak performance 24/7. 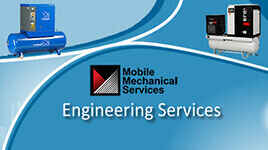 Mobile Mechanical also provides expert systems engineers. We provide assistance with Design, Specifications, System Layouts, Foundation Design and Ducting. Allow us to help you with your next project from start to finish! We offer compressed air, lubrication, alignment equipment, automotive lifts, tanks and separator systems installation. We also offer complete turnkey installations for many applications. Contact Us today for all your installation needs. 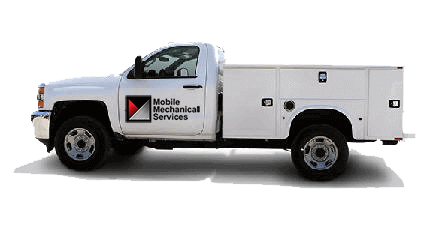 Mobile Mechanical ready to help you with any failures, annoying issues or general performance issues. We are available 24/7 and we can help you no matter what type of air compressor or related equipment you may have. Contact Us if you have any questions. Mobile Mechanical has your back! Money a little tight right now or maybe you only need a piece of equipment for a short period of time? Mobile Mechanical offers both leasing and financing to meet all of your air compressor needs! Call us today to discuss! Mobile Mechanical believes in preventive maintenance! It is similar to making sure you change the oil in your car. 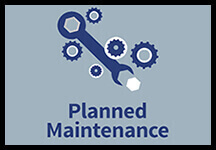 Your air compressors, lifts, lubrication systems & alignment equipment needs the same type of maintenance. Contact Us today to discuss! Call Us Today... We LOVE helping Customers!